Who doesn’t enjoy a nice long bath after a hard day’s work? I most certainly do. Want to know my favorite bath recipe? First, start running some bath water… I then grab my little glass dessert dish, add a good handful of salts and place 6 drops of lavender essential oil on top of the salts in the dish. When the tub has some water in it, run the dish under the water and let it dissolve into the bath. I stick my feet in and swirl the water until all the salts are dissolved… Otherwise it feels like you’re sitting on the beach lol!!! There’s nothing like this recipe to chill out after a stressful day! The lavender just wraps around you and the scent is heavenly. We all have used Epsom salts… but instead of Epsom salts, give Himalayan salts a try. Himalayan salts are loaded with 84 different minerals including potassium, magnesium, bromide and calcium which are absorbed through the skin to rejuvenate and revitalize your body. Bathing in Himalayan salts can reduce inflammation in the joints and muscles and helps relax the body. Did you know that “way back when” they used to treat patients that had chronic infections and ailments with salt baths? Cool fact: Hippocrates, father of modern medicine, recommended “thalasso-therapeia” a fancy way of saying bathing in warm seawater. But on the serious side, these two Greek words meaning “treat with the sea”. In Greek, “thalassa” means sea and “therapeia” means treatment. 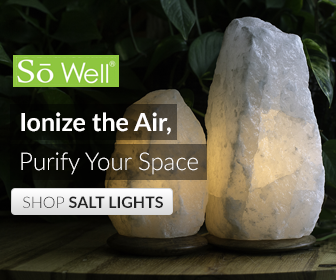 Natural Himalayan salt crystals have been shown to relieve stress, focus the mind, boost the immune system, relieve water retention, strengthen your bones and nails and they also help heal dry, damaged skin cells. Now mix those wonders with the stress relieving and relaxing benefits of Lavender essential oil and you have the perfect bath solution! I learned so much from the SoWell website before ordering their products. And now, I”m hooked! FOLLOW this LINK: www.sowellmade.com to their wonderful site!!! OR click THIS super duper long LINK to get directly to the bath salts page: www.sowellmade.com/shop/bath-and-body/crystal-stones-bath-salts/. There, you can choose the amount of salts you want, it starts t a 1lb bag and goes to a 55lb bag! All you need to do now is put this recipe together and take a bath, A nice long relaxing warm water bath mixed with the best we can get from our lovely planet. It is incredible what Mother Nature provides for us. Enjoy and take care! 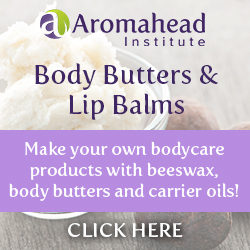 ← Wax melts; using all natural ingredients. I have wanted to put a bag of bath salts I received from an about use, but never really paid attention to it, never knew there was so much value behind it. Thanks for informing me, I will start using them next time I shower. However, I do not think I have Himalayan bath salts. I think mine are peppermint bath salts, is this ok? Hello Deep! Absolutely the salts you have are ok… add a couple of drops of lavender if you have it 🙂 Lavender peppermint is a very popular combination! I am about to go take my relaxing bath! I love all the benefits of Himalayan Salt, Thank you for the post! Hey Paulina! I used to use Epsom salts in the bath but since using the Himalayan salts, they certainly do make a difference in the level of relaxation in the tub! I have never used this kind of product, but after reading this post I would like to try some of this! Hello Efrain! Apologies on the late reply, I appreciate you getting in touch! Have you given the recipe a try? I find the Himalayan salts are amazing for a deeper relaxation in the bath. It’s been almost a year since I found the time to have a really long bath, since the birth of my daughter, 11 months ago, I didn’t find the time to do much for myself. I LOVE Lavender and I think I will try this Himalayan Salt… thanks for sharing! !